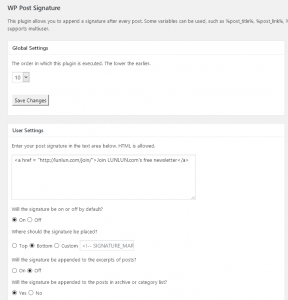 Here’s the admin panel, where I set the signature. 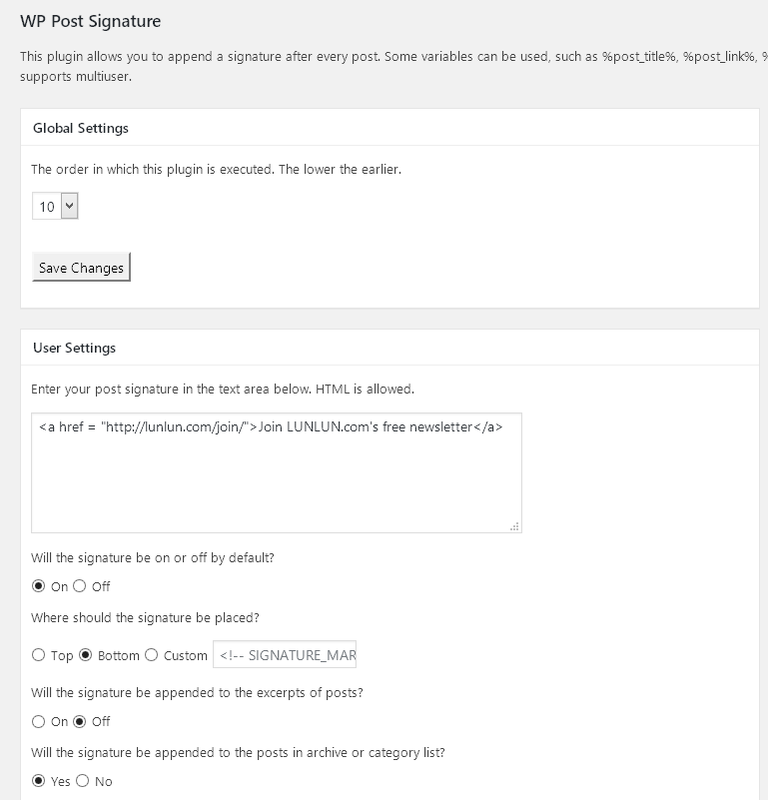 It’s on Settings -> WP Post Signature section. 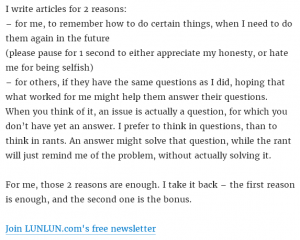 Previous Post:How to write when you have no readers? 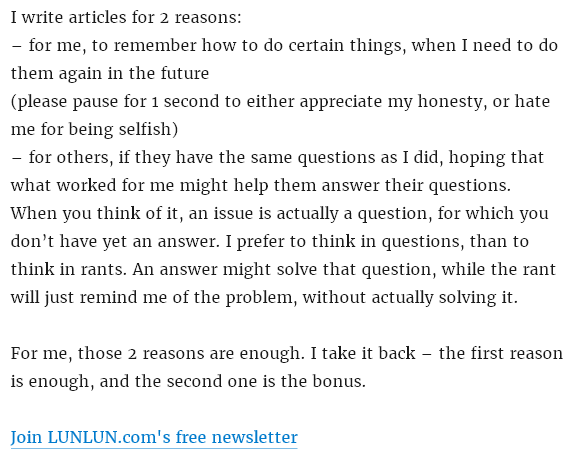 Next Post:How to write when you have no inspiration?